The tables have been turned. The blogger has been blogged about—in the Wannsee rowing club newsletter, by one of her own characters, no less. After dropping his name all year in my blog, club organizer Dietmar has done the same and written an article about “a certain American rower” who kept a blog. 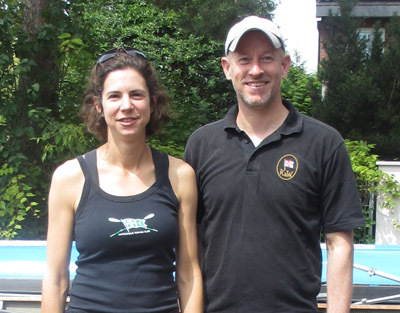 This entry was posted in Rowing, Uncategorized, Writing on August 19, 2014 by Jill M..